From the author of the bestselling novel, The Party, comes a chilling new novel of domestic suspense that revolves around two suburban women and the long-buried, dark secrets that they hold. When Frances Metcalfe met Kate Randolph, she thought she had found a lifelong best friend. Overweight and insecure, Frances prefers to hide in the background instead of standing up for herself. Kate is everything that Frances is not: strong, beautiful, confident. Kate makes Frances want to be a better wife and mother and homemaker. Best of all, Frances’ troubled son finds a friend in Kate’s son, and stops being labeled as the outcast in the elite private school they attend. But one of these women is not who she says she is, and her secret – once out – has the power to destroy everything in its path. Can people ever really change, or are we all stuck in our past, constantly making the same mistakes and never learning from them? Or, knowing that we’re making these mistakes but not caring enough to change, or worse, not wanting to change. This is just one of many questions brought up in Her Pretty Face. Like most of us, I would like to think that, under the right circumstances, everyone is capable of change. Not just that. That everyone is capable to want to change. In the novel, we are introduced to two women – both running away from their pasts – who form a bond. Neither of them share their secrets with each other, but they don’t need to. They understand each other in ways that no one else could: the friendship they’ve always been looking for. Some things are unforgivable, but are they really? Can their friendship stand the ultimate test? Told in three narratives, once you pick this book up, it’s difficult to put back down. I carried it around in my purse for about a week, but read it in three days. Out now from Scout Press, I cannot wait to see what Robyn Harding does next. Emily’s fiancé, Adam is the perfect man. He’s strong, he’s attentive, and he’s good to his mother, Pammie. But Pammie is a different story. Undermining Emily at every turn she is the nightmare mother-in-law we all dread. The only problem is that everyone else thinks that Pammie is the sweetest woman… But if it’s not all in Emily’s head why is she the only person that can see it? On first glance, Sandie Jones’ debut novel The Other Woman feels a bit like the JLo movie Monster in Law. They both feature future MIL’s who lie and manipulate and genuinely make the woman feel crazy, but that’s where their similarities end. Unlike in the movie – where Michael Vartan’s character is actually perfect – Adam is not the perfect man. In fact, he’s not even likeable. Every time that Emily tries to talk to him about what Pammie is doing he shuts her down, refuses to see the bad and makes Emily (and us) think that maybe it’s all really her. So is it? I started this book on my plane ride home from vacation and finished it two days later. It was that good. And the shocking end that everyone is talking about? I never saw it coming! It’s out in stores next week so everyone grab this one! Trust is one of the most important things in life, without it, your world can be turned upside-down. But what happens when you don’t know who to trust? With her sophomore novel (and next one, Bring Me Back out this month! ), B.A. Paris joins the ranks of S.J. Watson and A.S.A. Harrison in her story-telling abilities, begging the question: can you even trust yourself? The Breakdown opens with a torrential storm. Cass is taking a shortcut home through the woods, the same shortcut that her husband, Matthew, has warned her against taking. She notices a car pulled over on the side of the road and tries to see if the driver needs help. She comes close to getting out of her car, but thinks better of it and continues on her way home. The next morning, Cass wakes to find that the woman in the car was murdered. She may be the only witness, except no one knows that she was there. And with that, B.A. Paris’ masterpiece begins. At first we believe Cass – her recollection of the events that she keeps replaying in her head seems plausible – but soon those thoughts start to take over her life. She becomes increasingly forgetful and paranoid that you start to question the validity of her story. Was she even there? Did she murder the woman? Is she sane? Paris weaves the threads so tightly at times that you can’t tell fact from fiction. What I love most about this story is that moment when the pieces start to fall together – it’s then that you realize just how deep it really goes. And that sometimes, the truth is not what you think it to be. The Breakdown, B.A. Paris 2017 St. Martin’s Press. A cat-and-mouse suspense novel following a young woman as she sifts through the chaos left by her twin sister – whose death is cloaked in mystery. Nearly two years ago, Ava Antipova left her family’s failing vineyard in the Finger Lakes to learn about literature in Paris, but she was really just running away – from an absentee father who left when she was young, from a critical mother who was losing her mind to dementia, from her twin, Zelda, and the man who broke her heart. After receiving an email from her mother about Zelda’s untimely death – she was burned alive in their barn – Ava leaves her life in Paris behind, returning to her family home to once again clean up Zelda’s mess. Soon after she’s back, Ava starts receiving messages from Zelda, clues as to what really happened. Convinced that her sister is still alive, Ava races against time to put all of the pieces together and in the process, rediscovers part of herself she thought had been lost forever. When I first started reading Dead Letters, I had trouble getting into it and almost immediately put it down, but I’d been surprised by books recently, so I decided to give it a few more pages, and I’m so glad that I did. Dead Letters isn’t just another suspense novel, and it isn’t at all paranormal either (I dislike anything paranormal). The story isn’t about the ending, whether Zelda is in fact alive or dead, rather, it’s about the journey. Ava was always running away from her problems, whether physically or mentally through alcohol – and what Zelda has done really forces Ava to reevaluate her life and discover her identity. Despite the fact that she hadn’t spoken to Zelda in the two years she’d been living in Paris, Ava could never really see herself as anything other than one half of a whole. Ava was the smart one, the reserved one, the one who cared too much about what others thought. Whereas Zelda was the rebel, she was the drama queen, she never censored herself or her needs. Dead Letters makes you think about yourself – the labels that you have kept, and the ones you have thrown away. When we’re younger, we’re so much less afraid and more willing to take risks and try new things. But, as we age, we pair down our personalities and interests, and focus on specializing a few traits rather than a ton. Here, Dolan-Leach unlocks the door to our childhood so that we can, once again, rediscover our true selves. Dead Letters by Caite Dolan-Leach. Random House. Paperback Edition Feb. 2018. A gripping new psychological thriller from the bestselling author of All Is Not Forgotten – in the vein of S.J. 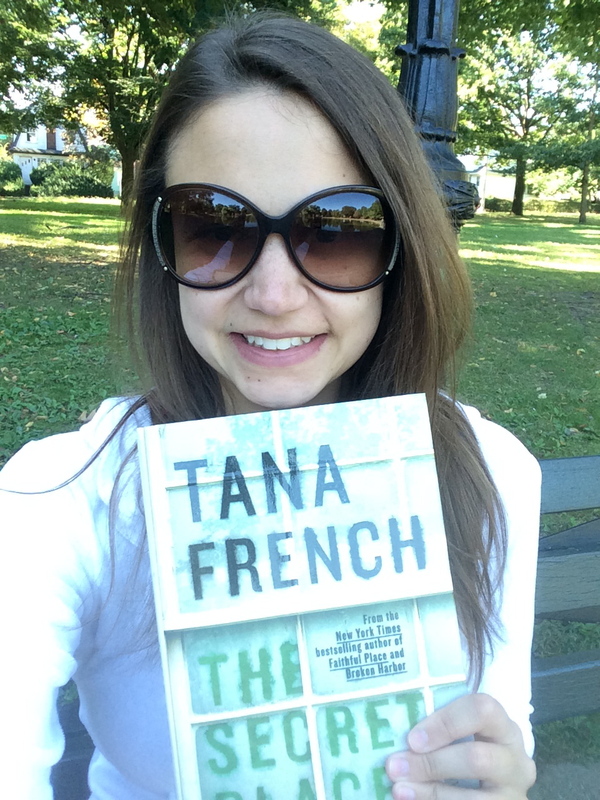 Watson and Tana French – following a psychologist’s desperate search to find a missing woman three years after her disappearance. When Emma and Cass Tanner disappeared three years ago, the only clues they left behind were Emma’s car parked in the beach parking lot, and her shoes discarded in the sand. After a thorough investigation by the FBI and local law enforcement, no new information was discovered and the case remained unsolved – until three years later when Cass surfaces at her mother’s door in the early morning hours. Alternately narrated by Cass and Dr. Abby Winter – the FBI forensic psychologist who worked the original case – we are given the details of what happened to the girls on the night of their disappearance, and where they’ve been all this time. But something isn’t right: the facts don’t add up. How much of what Cass is saying is actually true? As Abby sifts through the truths and the lies, she uncovers something far darker than anyone could have imagined…but is she too late to save Emma? Abby is one of those characters that, when a job hits too close to home, either falls completely apart or stands on the brink of falling apart. It’s why I loved Rob Ryan from In the Woods and Elliot Stabler from Law & Order SVU. She has become an insomniac who never sleeps, and an alcoholic. She doesn’t remember what happened in cases six months ago, but she still remembers every last detail of Emma and Cass’s disappearance. Characters like Abby, characters that become so emotionally invested in a case that they eat, breathe, and sleep the facts, they are the ones that seem the most real. While Cass can be looked at with a skeptic lens, she is also the victim. She had to grow up way too soon. She had to learn how to lie and manipulate and play games to get things that we take for granted, without anyone to completely confide in. Cass is cold and calculating, but she acts that way because she has lost her ability to trust. At times she’s a bit unlikeable, but that gets overshadowed again and again by your ability to empathize with her. What I love most about this novel is the same thing that I loved from her previous one: the psychology. Though psychological thrillers have become hugely popular in recent years, few people know how to do it right. A good thriller catches your attention, a great thriller grips you and doesn’t let go, but an exceptional thriller – though rare – forces you to slow down and absorb every last word, taking you to places far greater than you could ever expect. From the very first paragraph I could tell that Emma in the Night was one of those rare exceptionals. Walker’s descriptive prose is carefully crafted, and she keeps her cards close, not showing anything in her hand before you need it to be revealed. Emma in the Night by Wendy Walker. St Martin’s Press 2017. How do you go on living your life, knowing that there’s a part of you out there that is missing? 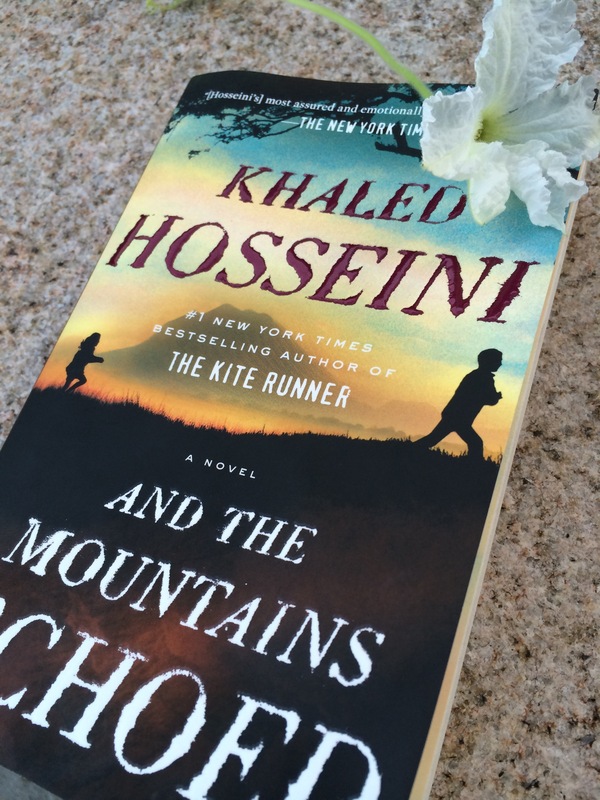 In Khaled Hosseini’s third novel, And the Mountains Echoed, he explores relationships that we have with ourselves and our families. How, one choice, one decision, has the power to not only change our lives, but theirs as well. How the people that are closest to us will go to great lengths in order to do what’s right, sacrificing everything they can, but also how sometimes people surprise you when you need them the most, destroying hopes that you never knew you had. Spanning generations, Hosseini takes the reader on a journey across continents, delving into the complex relationships of family and how things don’t always turn out the way you want them to. Starting with siblings Pari and Abdullah, who are separated by extraordinary circumstances, we follow them and others through the aftermath, and witness the true power of love and how the loss of it can stick with you throughout a lifetime. As a huge fan of Tana French’s work, I was extremely excited for the arrival of her fifth novel, The Secret Place, preordering it months in advance of its recent publication. For those who are unfamiliar with her work, I’d like to say that French is unlike most of the writers out there. Not only is her writing amazing, but her novels as a whole are as well. She has a way with language and story telling that is truly atmospheric and at times haunting. More than once have I gone to sleep after reading one of her novels and woken up in a fit of panic. They’re just that good. Although she tries a somewhat different approach in her newest novel that I am less than fond of, the core of her remains the same. The Secret Place tells the story of a murder that happened at an all girls’ school, and the investigation of it a year later. Detective Stephen Moran is brought back as the main character (this time) who leads the investigation, as well as Holly Mackey and her father Frank – all of whom were in French’s third, and arguably best novel to date, Faithful Place. The novel opens with Holly paying a visit to Detective Moran at the Dublin police department where she produces a photograph that she found on a bulletin board at her school, St. Kilda’s. The photograph is of Chris Harper, the boy who was murdered on the grounds of St. Kilda’s the previous year. And there is a caption. It reads: I Know Who Killed Him. Moran brings the new evidence to Antoinette Conway, one of the detectives who had originally worked the case. Together, they return to St. Kilda’s in hopes of finally solving the murder…but are they too late? How far would you go to protect your friends, knowing that they were somehow involved in a crime? Would you stay silent forever, or would you find a way to get it out in the open, to once and for all uncover the whole truth? These are the questions that circulate from beginning to end in The Secret Place, questions that ring true for many of us. We befriend others who we have things in common with, and, as our bonds deepen, our loyalties toward them increases as well. But…how far would you go? Some say that no line exists for true friendship, but that is just not possible. There is always a line. Told in alternating narratives between past and present, French weaves a tale of friendship where loyalty is so strong that it is the only thing that stands in the way of solving the murder. How would you feel if every time you woke, your mind erased itself? You have no idea where you are or who’s sleeping next to you. You go to the bathroom and see pictures taped up to the wall and mirror, pictures of you with this other person, smiling and aging. It’s only then that you glance into the mirror and gasp because your appearance has changed so much that you almost don’t recognize yourself…until you look into your eyes and realize that it’s you. How would you feel? For Christine, in S.J. Watson’s debut novel, Before I Go to Sleep, this is precisely the case. Suffering from a rare form of amnesia, she can retain memories in the span of a day, but once she goes to sleep they are lost and the next morning she has to go through the process of learning them all over again. Her memories are not completely gone though; sometimes they come back to her, and she writes them down. With the clock constantly running out, will Christine be able to reclaim her memories and her life for good, or will they forever be lost in the abyss of her mind? In truly brilliant prose, Watson brings the reader into Christine’s mind as memories flood back to her and she tries to put the missing pieces of her life together in hopes of remembering what caused her amnesia in the first place. It makes you realize just how lonely and frustrating it would be to wake up every morning, day in and day out, and never know who you are, and despite those painful memories that you would wish you could forget, it is those memories that help define us, help make us who we are today, and without them, we would be lost, just like Christine.